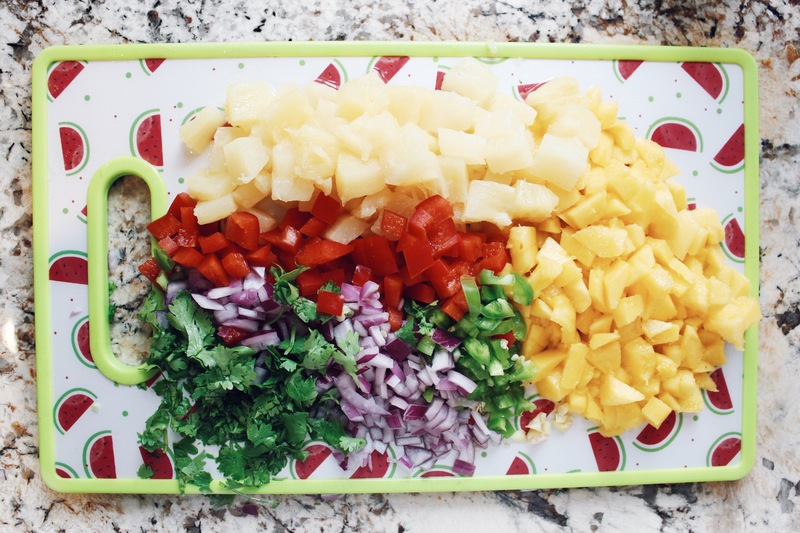 Summertime recipes are definitely the best, so fresh and full of color! 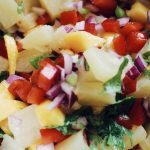 One of my favorite snacks/appetizers to eat is a pineapple mango salsa with quinoa tortilla chips. My mom and I buy our salsa fresh from the local grocery store, but we decided we wanted to try to make it ourselves! That’s what this recipe is for! Let me just say, it is absolutely delicious and taste exactly like the one we were buying. Let’s dig in! 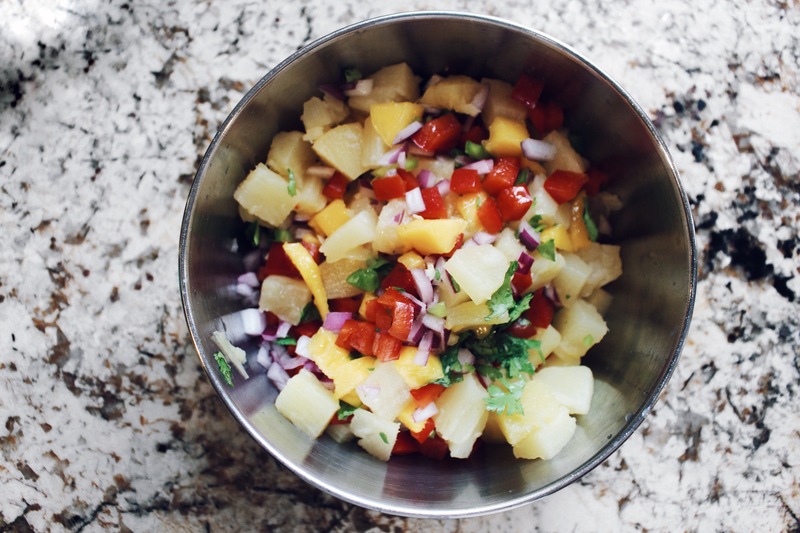 Begin prepping your ingredients; cut the pineapple chunks into smaller portions, dice up the mango, jalapeño, red pepper, red onion and ginger. 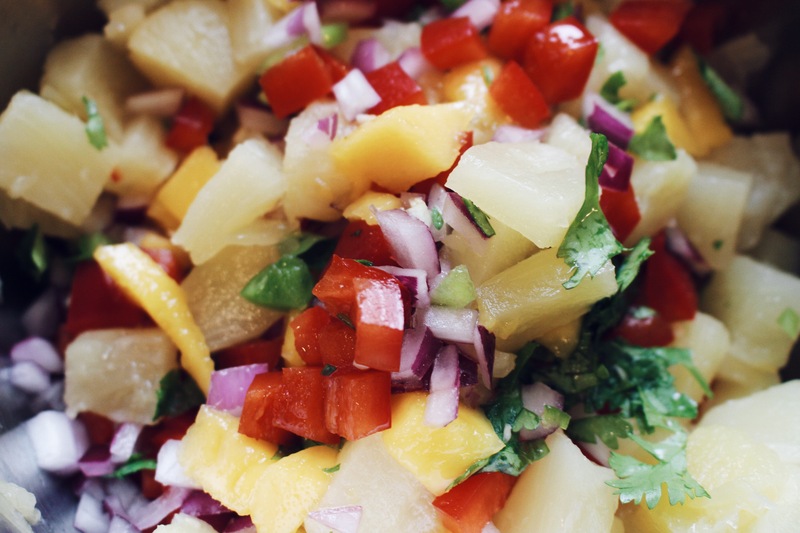 Chop up the fresh cilantro and throw everything (except juice and salt) into a bowl. Mix ingredients and add the lime juice, lemon juice and salt. Mix again and enjoy! This recipe is super easy to make, takes no time and is perfect for the summer! Bring this to your next bbq and it’s sure to be a hit! 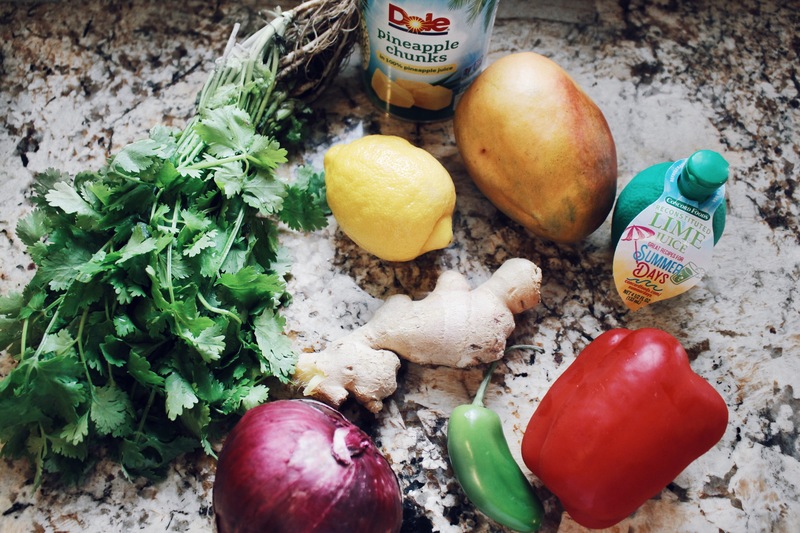 The ingredients mix so well together making it a sweet salsa with that hint of spice. Honestly I could talk about this salsa all day, I am obsessed. If you try this recipe send me your recreations via Twitter or Instagram.